Designed in the 1930s by Anthony Lange, the original Lange Lift Elevating Table was the first of it’s kind. Respected for their quality, sturdiness, and minimal maintenance, the original design continues to be a mainstay in industrial environments. Trusted by small fabrication shops to large aerospace manufacturers and beyond, our ergonomic lift tables are a beloved material handling tool for workers. We continue to manufacture high quality, heavy duty lift tables that are built to last, using the best processes, components, and technology available. We’re agile enough to modify our existing product line to create one-of-a-kind lift products to meet your exact specifications. Along with our standard hydraulic post lift tables, we are also known worldwide as the go-to source of high quality, field functional custom material handling lifting solutions. Custom lift products include, but are not limited to, scissor lifts, turntables, box dumpers, lift carts, lift gates, pallet inverters, tilters, and upenders. People come in all shapes and sizes and need working surfaces with adjustable working heights to limit bodily stress, reduce repetitive motion injuries, and increase efficiency. Safety managers know that an ergonomic Lange Lift table is the perfect choice for machinists, welding stations, assembly areas, and material fabrication. Ideal for any industrial environment. If your application requires constant raising and lowering, we offer electric, battery, and air powered lift tables to help reduce repetitive motion and increase productivity. 1,000 to 4,000 pound capacity. Ideal for stationary ­applications where raising and lowering speeds are crucial for maximum efficiency. No need for manually pumping the table, simply press down the foot switches for quick, ­ergonomic performance. 1,000 to 5,000 pound capacity. Ideal for mobile ­applications. With no plugs or hoses required for use, the hand held ­controls allow for quiet, quick, and effortless operation ­anywhere. 1,000 to 5,000 pound capacity. Ideal for combustible environments, such as spray booths, where electrical currents are prohibited. An on board air valve raises and lowers the table with the tilt of your foot. 1,000 to 5,000 pound capacity. Applications don’t always have an off the shelf solution. Whether it’s a slight modification of our standard hydraulic lift tables or a completely unique design, we have the flexibility and experience to design custom fit solutions for our customers. 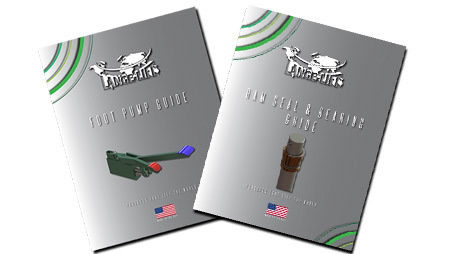 Check the custom lift area of our website to see examples of our creativity and manufacturing capabilities. With over 80 years of experience in custom lift products, we use our expertise and the latest in 3D CAD software and technology to design the best one of a kind ergonomic lifts in a myriad of varieties. We will work directly with you through the design process to model a product that fits your requirements prior to production. We use high quality North American steel and components for strength and longevity. Lift capacities available from 100 to 40,000 pounds. Lange Lift hydraulic lift tables require minimal maintenance. 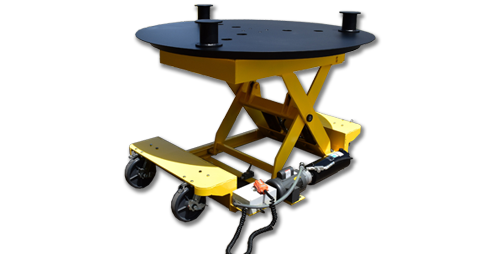 Convenient rebuild kits and replacement parts are available for all of our standard lift tables to keep them operating at peak performance. If you have questions about your lift table or have one of our custom or modified lift products, call or e-mail us with your serial number. Wondering how Lange Lift’s vast array of ergonomic standard tables and custom lifts can help improve your processes, worker efficiency, and reduce the risks of repetitive motion injury in your facility? See them in action for ideas and solutions to your workplace material handling challenges by viewing our product video library.